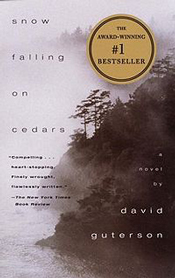 David Guterson is a well-known Bainbridge author whose novelSnow Falling on Cedars (1994) won the prestigious PEN/Faulkner Award. 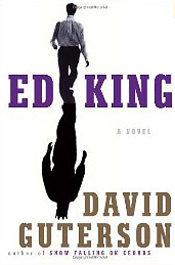 To date the book has sold nearly four million copies and in 1999 was adapted for a film by the same title. 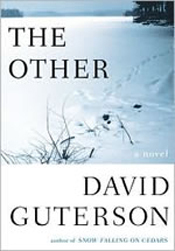 Other books by Guterson include The Country Ahead of Us, the Country Behind (1989), Family Matters: Why Homeschooling Makes Sense (1992), East of the Mountains (1999), Our Lady of the Forest (2003), and most recently The Other (2008) - a moving portrait of male friendship, set in the Pacific Northwest like most of his novels. Bruce Barcott describes Guterson's recent novel in the New York Times as a "finely observed rumination on the necessary imperfection of life — on how hypocrisy, compromise and acceptance creep into our lives and turn strident idealists into kind, loving, fully human adults." In addition to his own writings, Guterson supports other writers' efforts and is one of the co-founders of Bainbridge Island's writer community, Field's End . Because of his accomplishments in the humanities as well as his commitment to the community, the Bainbridge Island Arts and Humanities Council named David Guterson an Island Treasure in 2007. For more information about David Guterson go to http://en.wikipedia.org/wiki/David_Guterson.